As spring edges closer, more regular rides are blooming! This week’s new additions include ProBike FC’s weekly women’s training ride; Papillon Cycling’s social coffee ride, and Conte’s first day of spring ride. Also, one that looks pretty fun that starts this week is the twice-monthly Coffee Outside ride, on Friday morning before work on the C&O towpath. 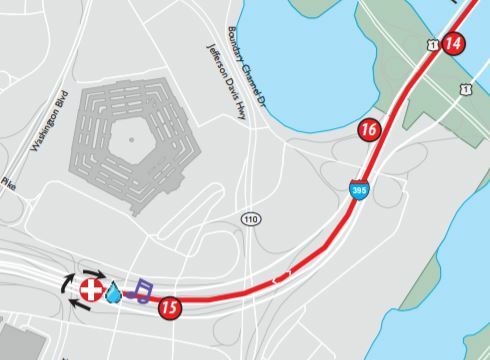 The major cycling event news this week is that the DC Bike Ride–the big annual ride backed by the DC government–posted its route for this year. And you know what, I’m just going to level with you, it’s a terrible route. We have a beautiful city full of monuments and sights and wide boulevards lined with historic buildings, yet this ride boils down to a tour of the crumbling car commuter infrastructure along the waterfront–off-ramps, tunnels, jersey barriers, and HOV lanes are apparently the very best this city can offer its cyclists for this once-a-year event. 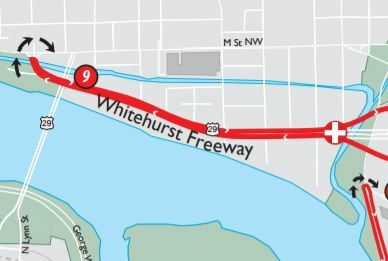 Have you ever wanted to ride your bicycle on the Whitehurst Freeway? Sign up for the DC Bike Ride and you can do it twice! How about the E St. Expressway tunnel? Sign up for the DC Bike Ride and you can do it twice! And who hasn’t dreamed of riding a bicycle on 395, across vast, featureless, pointless expanses of asphalt and concrete into northern Virginia, only to immediately turn around and go back? This is the route of a bike ride that someone is hiding, like they’re ashamed it exists and wants to keep it away from where people live, work, shop, and park cars. Or maybe it was designed by people who primarily experience the city from behind a windshield and assume casual cyclists are itching for that same “stuck-in-traffic-under-the-Kennedy-Center” experience. The ride is, I think, in its fourth year. I’m glad it’s happening. I’m registered for it, and you should register for it, if for no other reason than to support the local advocacy work of WABA. But we should demand a better ride. 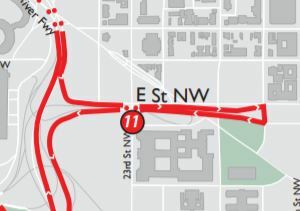 It is a sin that the ride doesn’t (for example) do a lap around the National Mall, and that it misses the spectacular promenade down Pennsylvania Ave. toward the Capitol. I’m sure the cycling advocates and ride leaders who do this kind of thing as part of their lives have HUNDREDS of ideas for better routes. Would it be more disruptive? Absolutely. That’s what happens when you plan a big, beautiful, community event to bring a city together on a Saturday morning in May. But if the DC government and Muriel Bowser are serious about promoting casual cycling and not just using us in photo ops to pitch DC to investors as a bike-friendly city, they’re going to have to be a little more disruptive.